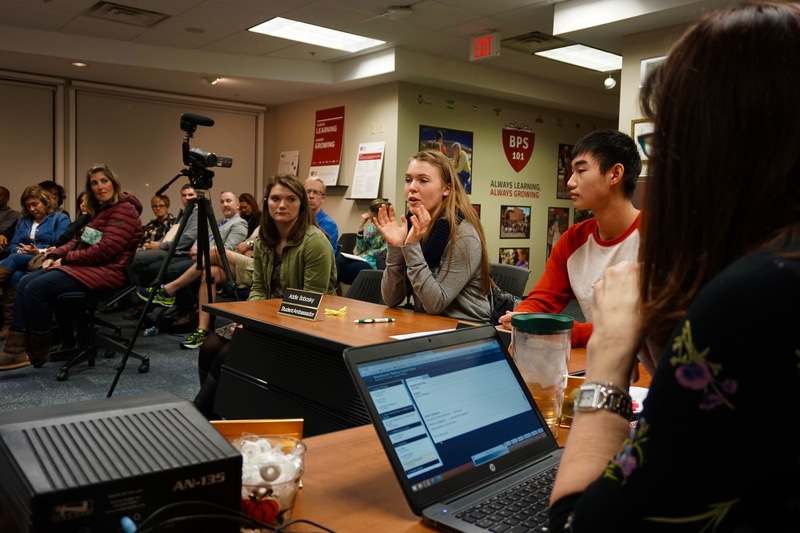 The Board Meeting opened with the celebration of the successful #LiftUp101 Kindness Challenge to spread kindness and positivity throughout BPS101 and beyond. 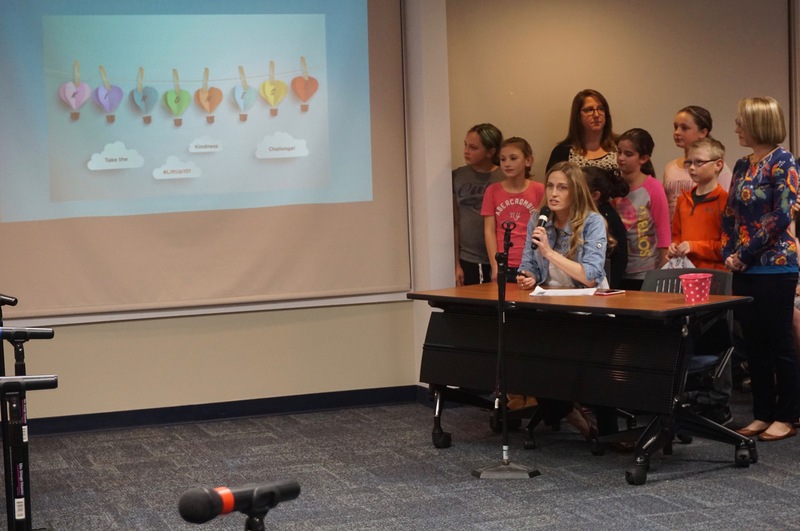 The Challenge was developed by Alice Gustafson Elementary School Music Teacher, Mary Jensen, in response to recent tragedies that have impacted BPS101 community members and beyond. 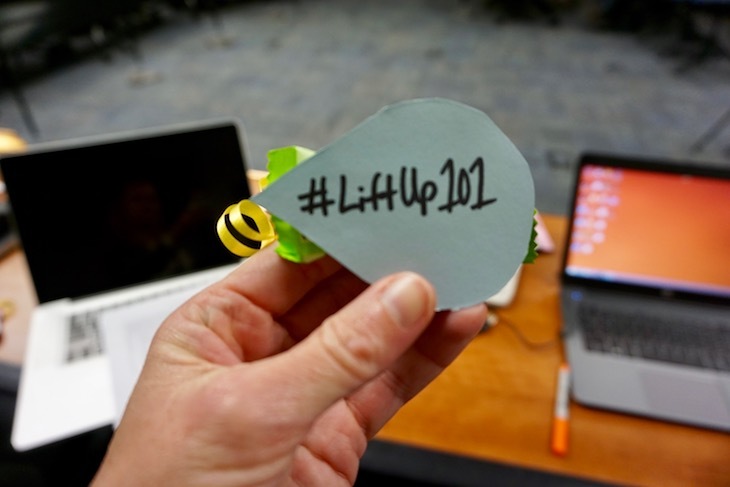 Mrs. Jensen shared her idea with colleagues and they all pitched in to help launch the Districtwide #LiftUp101 Kindness Challenge on Oct. 18. 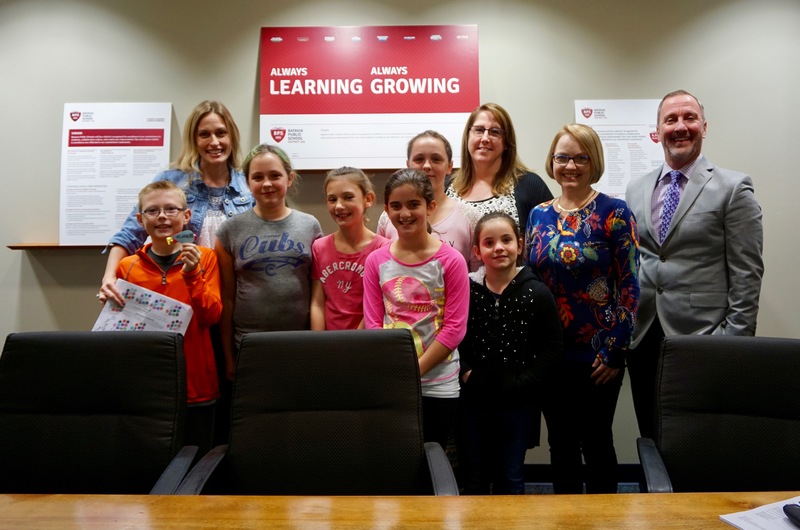 As part of the Board Celebration, Mrs. Jensen, along with AGS students, Principal Dr. Tim McDermott, LRC Director Tamra Ashby, and Special Education Paraprofessional Corinne Kornerup, shared some of the many ways students, staff members, and families have spread kindness, and its far-reaching impact in just a few short weeks. The Board approved the use of Project Lead the Way computer science curriculum for 7th and 8th grade computer classes, beginning in the 2017-2018 school year. 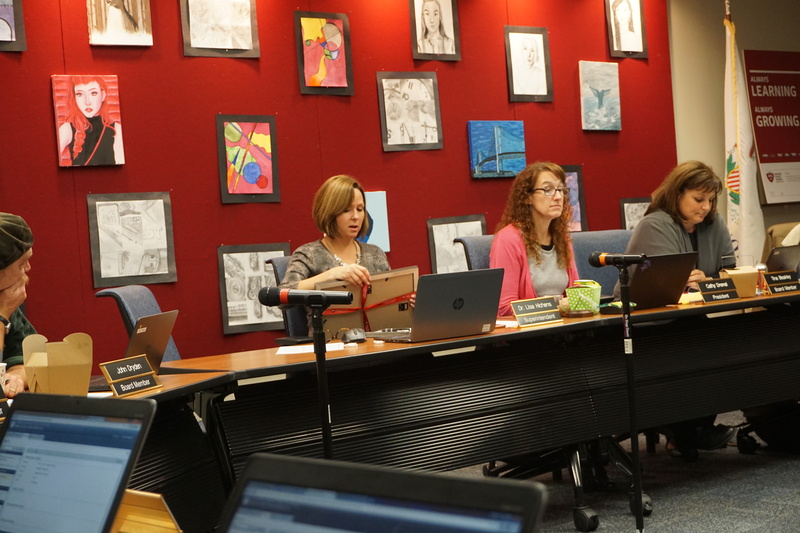 Chief Academic Officer, Dr. Brad Newkirk noted that the change will not add two new courses at Rotolo Middle School, but, instead, will replace curriculum for two existing computer courses. The Board of Education approved administration’s recommended $66.5 million property tax levy (the amount of property taxes a school district or other taxing body requests for the next fiscal year, based on its needs). During the Board Meeting, Tony Inglese, BPS101 Chief Financial Officer, stated that in Tax Year 2016, it is anticipated that the school tax burden for the average homeowner will decrease slightly due to three factors: 1. increasing EAVs, on average of 4.75%, that effectively reduce the tax rate, 2. a relatively small CPI of 0.7% that caps the total taxes collected, and 3. new property taxes from the outlet mall expansion that redistribute the burden of bond and interest obligations. For more detailed information about the 2016 Levy, including the 2016 Certificate of Tax Levy and 2016 Levy Calculation, visit Board Docs. Dr. Brad Newkirk, BPS101 Chief Academic Officer, presented a draft of the 2017-18 school calendar to the Board and explained that it was created based on feedback from parents, staff, and partner schools and organizations. Board Member Tina Bleakley asked why school is slated to start on August 16. Dr. Newkirk explained that it is because BPS101 is on the collegiate calendar and to ensure high school students complete finals before winter break. The draft calendar is also closely aligned with the John C. Dunham STEM Partnership School. A final calendar recommendation will be brought to the Board at the next Regular Board Meeting on December 20, 2016.